On February 1st, loyalty marketing company, Tecmark, moved its corporate offices from downtown Saint Paul to downtown Minneapolis. It was a big decision for us to leave the city that we have been in for about 10 years. So, why did we do this? What does it mean going forward? First, we are very excited and thrilled to be in the growing and vibrant downtown Minneapolis. There are cranes everywhere with a lot of building projects in the works, including big office buildings, many new housing complexes, and, of course, our new Vikings stadium. Over 40,000 people now live in downtown Minneapolis with over 230,000 employees, ranking it the 9th highest in the United States for number of employees. I had the chance to see the annual meeting of the Minneapolis Downtown Council a couple of weeks ago that also provided more details about their 2025 plan. This is only the beginning of a lot of growth and big initiatives for downtown Minneapolis. So, the number one reason we moved to Minneapolis is that this is the place to be in the Twin Cities, vibrant and full of options and opportunities. Second, it’s about our current and future employees. Though change is tough for many, we were confident that our employees would appreciate the energy and endless options available in downtown Minneapolis, as well as a great mass transit network that allows a large number of employees to get out of their cars and relax on their journey to and from work. Over 40% of all employees downtown commute to work via mass transit, and that doesn’t include the large number of 40,000 downtown residents that also work downtown. It’s also about Tecmark recruiting new employees that fit our needs and company values. We’ve already seen a great improvement in our ability to attract and hire employees with our new location. 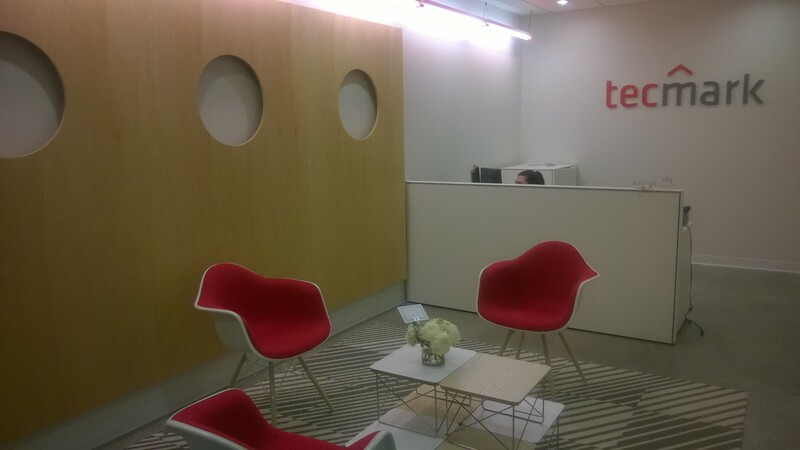 Third, with the move we were able to create a new and vibrant work environment for our employees. With our move to Marquette Plaza, we were able to build out our space from scratch and create the work spaces that we know will make our company work better as a strong and dynamic team. It also now more accurately presents our brand, a leading technology and marketing services company that delivers innovative and highly effective loyalty programs for our clients. Finally, our new city is where a vast majority of the agencies and marketing firms are located in the Twin Cities. As many of you know, Minneapolis is a leading hub of these businesses that support clients around the world. We’ll have the opportunity to build relationships and create partnerships with these firms. So, we would love all of you to stop by and see our new space. We are in the process of planning an open house for later in 2015 to celebrate this great new location for our employees and clients. Keep an eye out for details!! Follow us on social media (listed on the top right of this page) to stay up to date on Tecmark news and loyalty marketing tips.